Ever wonder what makes the “Jack-in-a-box” camcorder system work? 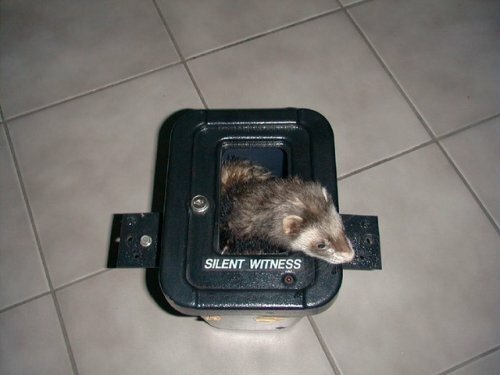 9 out of 10 ferrets agree the camcorder plastic cases make great play toys. For safety sake, remove the glass and key lock clasp to avoid injury. One of our installers made a 30 unit condo for birds in the neighborhood with a pile of these the district was discarding. No reason for their 100+ year lifespan to take up space in a landfill when they can be used in other ways.